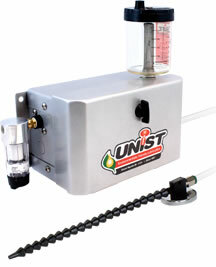 These days, “going green” is a concern for many manufacturers and implementing Minimum Quantity Lubrication (MQL) with Unist Coolube® is an easy step in that direction. 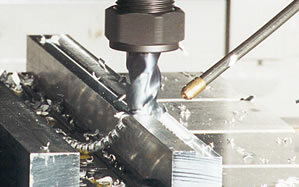 MQL is the process of applying minute amounts of high-quality lubricant directly to the cutting tool/work piece interface instead of using traditional flood coolants. MQL minimizes your environmental impact by significantly reducing fluid usage and eliminating the need for coolant treatment and disposal. These near-dry machining benefits are multiplied further when using 100% biodegradable Coolube® lubricants which are formulated from renewable plant-based oils. 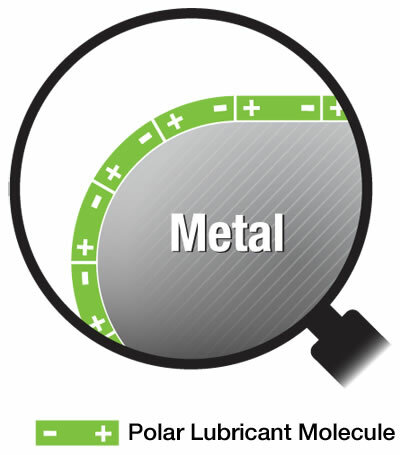 When considering these facts along with the performance benefits of Coolube® and MQL, it becomes obvious that this is the future of metal cutting fluid! Using the right lubricant is very important in MQL applications. The perfect metal cutting fluid will adhere to the surface of the tool and provide a thin, low friction barrier between the cutting tool and work piece. Studies have shown that Coolube® has superior properties which make it an ideal lubricant. Coolube’s® polar properties create a strong consistent bond between Coolube® and metallic surfaces. 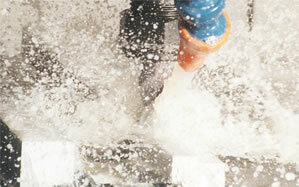 This creates an even, strong, and durable layer of lubrication. Coolube® reduces friction 50% better than typical mineral oils preventing heat buildup and resulting in longer tool life and a superior cut finish. Coolube's® polar molecules have opposing charges at each end. This causes Coolube® molecules to align and create strong bonds.